No matter the industry or the size of a business, all companies know that a qualified accountant can mean the difference between success and failure of the business. Therefore, accountants always have—and likely always will—play an integral part of all enterprises. One of the first true signs that shows someone is qualified to be an accountant is if they possess a bachelor’s degree in accounting. There are a number of paths one can take to accomplish this first milestone; however, for the remainder of this article only one particular path will be examined: online degrees. A decade ago, if one applied for a job with a degree from an online university, they were likely to be laughed out of the building. Fast-forward to a few years later and this is no longer the case. In fact, employers are now embracing online degrees like never before. The number of online students has steadily increased year after year. According to the Survey of Online Learning, roughly 6.7 million college students attended some form of online class in 2011 hence, it should be no surprise that employed individuals find the flexibility said courses offer appealing. The goal is to choose a respected college, preferably one which won’t raise red flags or give employers a reason to question your abilities. For best results, you should stick with a regionally accredited online college. However, attending online courses through a school with a predominant physical campus may be even better. As mentioned above, there are thousands of college options in the US; finding and sorting through the best of them can be a challenging, time consuming task that no one particularly enjoys. Consequently, we’ve decided to save you the time and headache by compiling a list of the 20 best online programs for those who are seeking a bachelor’s degree in accounting. This degree from NEU is fully accredited by the Association to Advance Collegiate Schools of Business (AACSB). This is widely considered to be among the topmost business school achievements worldwide. 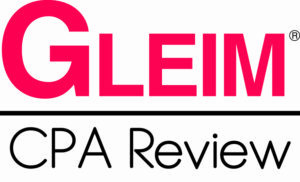 NEU makes the list due to its outstanding career placement program; in 2008, the school ranked number 1 in this domain with The Princeton Review. Those interested in this program may like to know that the cost per credit hour is $378.00. Considered to be one of the best schools in the Midwest by The Princeton Review, UMC also offers one of the best online accounting programs available. Students who meet the entry requirements are required to take a large number of accounting related courses spanning from basic accounting principles to business law and managerial finance. Because of the strenuous coursework, graduates of this program are well prepared for real world challenges faced everyday by professional accountants. Tuition to attend UMC’s online accounting program is about $430.77 per credit hour. Upon completion, 120 credits are needed unless the graduate plans on becoming a Certified Public Accountant (CPA); some states require graduates to have 150 credits before they can take the CPA exam. CSU-Global is the online-only version of Colorado State. This school offers a variety of topics for aspiring students to study. When it comes to accounting majors, CSU offers a Bachelor of Science in Accounting. This school is unique because it offers would-be students a variety of accounting related concentrations, such as Business Management, Healthcare Management, and Public and Non-Profit Management in addition to Small Business and Entrepreneurship and more. Another thing that sets this online university apart from others is its Higher Learning Commission (HLC) accreditation. It could also be the fact that 90% of graduates were either “satisfied or very satisfied” with the overall program. The tuition cost is about $350.00 per credit hour with 120 credits required for graduation. Concordia is a very small liberal arts university located in St. Paul, MN accredited by the HLC. Here a student body of less than 3,000 makes it possible to have to have fairly small-sized classes compared to larger colleges. Nevertheless, online students won’t benefit much from this, as a majority of the work will be done away from the physical campus. Unlike the other schools mentioned so far, Concordia University doesn’t offer a Bachelor of Science. Instead, this school offers its students a Bachelor of Arts in Accounting. Regardless, you shouldn’t expect the coursework to be any less rigorous since your classes will range from basic business and finance topics to much more advanced accounting, taxation, and auditing subjects. At the rate of $420.00 per credit, one could only assume that the quality meets great expectations. For people who’d prefer to attend a faith-based university, Liberty may be a perfect option. This Christian university located in Lynchburg, Virginia offers over 150 online degree programs, including 3 doctoral programs, and it is the largest of the kind. For those interested in online accounting degrees, Liberty offers its students a Bachelor of Science in Accounting. According to OEDb (Open Education Database), the school’s online accounting program is rated among the top three in the nation. Couple this with the fairly cheap tuition of only $325.00 per credit hour and a regional accreditation from the Southern Association of Colleges and Schools (SACS) and it’s easy to see why this school makes our list. Comparatively speaking, Bellevue abandons what is considered the college norm due to the fact that a multitude of its undergrad students is settled into the 25-34 age bracket. This makes it perhaps the ideal college environment for working professionals seeking a college education. When it comes to accounting programs, Bellevue’s is top notch. Coming in at 150 semester hours, this program grants its graduates a bachelor in accounting and better prepares them to pass real world accounting exams such as the Certified Public Accountant examination. This university is also accredited by the Higher Learning Commission and has a rather steep tuition coming in at just under $400.00 per credit hour. Rasmussen is a for-profit university, which offers degrees and certifications to students seeking online and on campus educations. This school, which started in 1900, has a bit over 13,000 students spread out among two dozen real life campuses as well as the online campus. 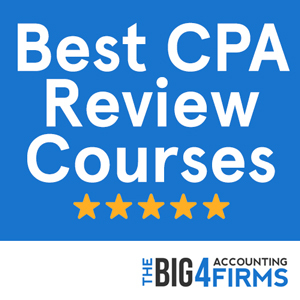 This five-year program is intended to take a complete novice and have them ready to successfully tackle the CPA exam with ease and confidence. The school has its HLC accreditation and offers their programs with a tuition cost of $310.00 per credit. Graduates boast about the school’s success rate stating that they had either full-time employment in their field of study working with big-name corporations, such as Wells Fargo, Medtronic, Coca-Cola, Ecolab, and Ameriprise Financial, or were continuing their education. Kaplan University is yet another for-profit university for those seeking a bachelor’s degree in accounting. Kaplan is also accredited by the Higher Learning Commission and offers both on-campus and online degrees to people interested. According to the official Kaplan University website, this online accounting program is quite thorough and covers virtually all aspects entry-level and certification seeking accountants need. Also reported by the site is the price of tuition averaging out to be about $371.00 per credit hour. Florida Tech is a private university that was founded in 1958. For the last few decades this school has been offering fully accredited degrees in a range of topics. Specifically, as it relates to students studying accounting, Florida Tech offers a comprehensive curriculum which builds a solid foundation for anyone who aspires to receive its accumulative knowledge and earn a better potential of passing industry standard exams, such as the CPA. Compared to the other schools on this list, Florida Tech is pricey reaching $510.00 per credit hour. UMUC is the virtual addition to the University of Maryland family of schools. When compared to the other schools in this list, UMUC has a lot to offer. First, it already comes with instant name recognition, because the University of Maryland school system has worldwide acclaim. Also, this school offers master degrees for accounting professionals on top of the bachelors. For example, people with an interest in information technology as well as accounting may find the Master of Science in Accounting and Information Systems a better option. UMUC is accredited by the Middle States Commission on Higher Education (MSCHE) and has an affordable tuition of $279.00 per credit for Maryland residents. Prices are nearly double for out-of-state students. WGU is a well respected and fully accredited online university based out of Salt Lake City in Utah. Since its inception, the entire goal of the university was to provide students a cheaper, more flexible alternative to traditional colleges. Another thing that also sets WGU apart from other colleges is the fact that this school doesn’t grant degrees based off of credit completion. Instead, they grant their accounting program graduates with a Bachelor of Science in Accounting only after they have successfully completed all accounting assessments administer by the department. Potential students can rest easy knowing that this college is regional accredited by the NWCCU, which is an acronym for the Northwest Commission on Colleges and Universities. IWU is yet another faith based online university. Like many of the programs we’ve talked about already, IWU offers online degrees tailored for adults with hectic schedules. Despite this, this Evangelical Christian university is not to be taken lightly. The program promises to help all students interested in accounting develop a solid understanding of all fundamental topics with a strong emphases on taxation, accounting theory and auditing. Indiana Wesleyan is fully accredited by the well-respected Higher Learning Commission. Estimated cost per credit hour clocks in at just over $400.00. Founded in the late 19th century, Brenau University set out to provide women interested in attending college with the best education possible. Though its online school is open to anyone regardless of gender, its main campus still is a women’s online institution. This school makes our list because according to the U.S News and World Report it is ranks #13 when it comes to schools with the best value. For this reason Brenau University is sure to give you a lot of bang for your $540 per credit, as it offers a myriad of course from intermediate accounting and taxation to assurance and auditing. This university’s main goal is to help students achieve success in professional work environments. According to the official website Post University has a student to faculty ratio of roughly 15 to 1 meaning you’re much more likely to get personalized help from your instructors. At over $520 per credit this schools is on the expensive side. Nevertheless, they promise a more personal, one-on-one approach meaning that students who are slower learners or don’t particularly do well in traditional online classes have another alternative degree pathway. As a whole, the university is regionally accredited by the New England Association of Schools and College while the School of Business is also accredited by the Accreditation Council for Business Schools and Programs. AU is a nationally recognized public university based out of Auburn, Alabama. What started as a small, male’s only college has grown to include over 20,000 students and 1,200 faculty members. As you can imagine, a school this size has many programs including the one we care about: online accounting. The Bachelor of Science in Accounting degree that is granted by this university preps students to be ready for the many career challenges faced by professional accountants. Nevertheless, it should be noted that this school specifically targets students that already have some sort of bachelor’s degree in business but seek to switch focuses to accounting. Founded in 1877 this private Roman Catholic university offers top-notch online degrees in professional accounting and many other topics. Regis is a four-year program, which grants students a Bachelor of Science in Accounting while greatly expanding their core knowledge on all fundamental accounting skills. This online university is backed by a physical campus in Denver, CO and is fully accredited by the North Central Association of Colleges and Secondary Schools. Linfield is a small liberal arts college situated in McMinnville, Oregon. Although they have a relatively small number of enrolled students (about 2000), Linfield offers a variety of degrees and certifications in many areas including law, healthcare, engineering and of course accounting. Over the course of your 125 credit hours, you will take classes on many accounting topics such as federal income tax code, financial accounting, managerial accounting and many more advanced accounting topics. Considering its small size, this school has a hefty tuition of about $450 per credit hour. This fully HLC accredited, for-profit university based out of Colorado Spring, Colorado has more than 25,000 enrolled students. Though the name suggests it is a school geared exclusively towards technology majors, in reality CTU also offers rigorous business and management courses. The Bachelor of Science in Accounting offered by CTU has classes, which focus on highly specialized niches within the accounting field. This is because government accounting, not-for-profit accounting and advanced taxation topics are all concentrations that students can greatly expand on at this school. At first this may sound as if it is a foreign college as Bemidji isn’t exactly the most American sounding name for a college. Nevertheless, this public university bares the same name as the city it resides in, Bemidji Minnesota. Bemidji State’s accounting degree allows students to be able to fully complete their degree online from start to graduation and features all the courses necessary to develop a true understanding of critical accounting processes. This school is generally affordable as tuition typically hovers around the $300 mark for both in-state and out-of-state students. Washington State’s Global Campus is the university’s attempt to do just that, share their knowledge globally. The actually campus was founded in the 1890’s and has well over 25,000 enrolled students. WSU offers over 200 degree fields covers all levels from bachelors to doctoral programs. For accounting majors the school attempts to provide you with all prerequisite skills and knowledge that is heavily sought after by employers. Would-be students can rest easy knowing this school is accredited by the AACSB.